Texas Man jailed for 35 years without conviction finally gets a new trial. Can you spell abuse, corruption, prosecutorial misconduct, not giving a sh*t about a poor, mentally-impaired black man? BAY CITY, Texas (AP) — For more than 35 years, a Texas man has been in a prison even though an appeals court threw out his conviction on a 1976 murder charge that initially had him on death row. On Monday, 59-year-old Jerry Hartfield will return to court for a retrial, facing a life sentence if convicted of killing a woman who sold tickets at a Bay City bus station. Prosecutors and defense lawyers have haggled over who's to blame for decades of inaction and whether Hartfield's right to a speedy trial have been violated. But the trial judge has refused to dismiss Hartfield's indictment and prosecutors recently took the death penalty off the table, citing a 2002 U.S. Supreme Court ruling barring execution of mentally impaired people. At a hearing Friday, a psychologist testified Hartfield's IQ is 67, below the threshold of 70 considered mental impairment. "Regardless of how the time is parsed out, the delay between the initial conviction in 1977 and the trial ... is extraordinary," defense attorney Jay Wooten said in court documents. Potential trial jurors are to arrive Monday for questioning. Matagorda County District Attorney Steven Reis has said while prosecutors "may be partially responsible" for not retrying Hartfield earlier, the state hasn't acted in bad faith. Hartfield also bears some responsibility for not filing for nearly a quarter-century, Reis said. 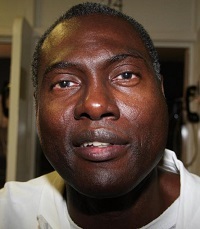 "I don't hold no grudge," Hartfield told The Associated Press in 2012 from a Texas prison. "All I want to do is just get things right and get back on with my life again." Hartfield was 21 in June 1977 when he was convicted of murdering Eunice Lowe, 55, a ticketing agent who was beaten with a pickaxe, stabbed with a glass soda bottle and robbed. She was raped after she was dead. Her car and nearly $3,000 were stolen in the September 1976 attack at the Bay City bus station, about 100 miles southwest of Houston. The Texas Court of Criminal Appeals overturned Hartfield's capital murder conviction in 1980 because of a jury selection problem and ordered a new trial. Three years later, then-Gov. Mark White commuted Hartfield's sentence to life in prison. It wasn't until 2006 that an inmate told Hartfield that because of the appellate court reversal, it appeared there was no sentence to commute. With the jailhouse lawyer's assistance, Hartfield, who said he learned to read and write in prison, filed a handwritten court writ demanding retrial or release. The Court of Criminal Appeals rejected it twice. Hartfield took it to the federal courts where U.S. District Judge Lynn Hughes agreed in 2009 there was no conviction. "Hartfield's position is as straightforward and subtle as a freight train," Hughes said. An appeals court agreed. State District Judge Craig Estlinbaum, who will oversee the retrial, characterized the case last month as "an unstoppable force meets an immoveable object." "On one hand, the state's negligence caused a 30-year delay in bringing Hartfield to trial. Nonetheless, Hartfield failed to present a clear, unambiguous demand directly to the trial court for a speedy trial," Estlinbaum said. In pretrial motions, Hartfield's attorneys contended his defense is compromised because the "two most important pieces of physical evidence" aren't available: the murder weapon can't be found and Lowe's car, returned to relatives, no longer exists. Plus, Wooten said, many of the more than 125 people on the prosecution's witness list are dead or can't be found. 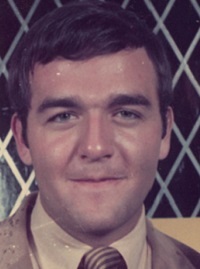 Hartfield was working construction in the Bay City area at the time of Lowe's death. He was arrested within days in Wichita, Kansas, where he had relatives. He gave a confession to officers returning him to Texas that defense attorneys want suppressed. Hartfield told the AP the confession was "bogus." But the Texas Ranger and Bay City police detective who took the confession testified at a hearing Friday that it was by the book and they took him to a hospital afterward so a medical exam could show he hadn't been physically abused. "I knew this day was coming," retired Detective Sgt. Doug Holland said. That statement was among the key evidence, along with an unused bus ticket at the crime scene that had carried his fingerprints and testimony from witnesses who said he had talked about needing $3,000. If convicted again, Hartfield immediately would be eligible for parole under the Texas law at the time of his original trial.